Guitarist Description: A real workhorse, heavy on the mids with a solid, straightforward tone. Presented with overdrive distortion, it powers through with lows that are bold and heavy. 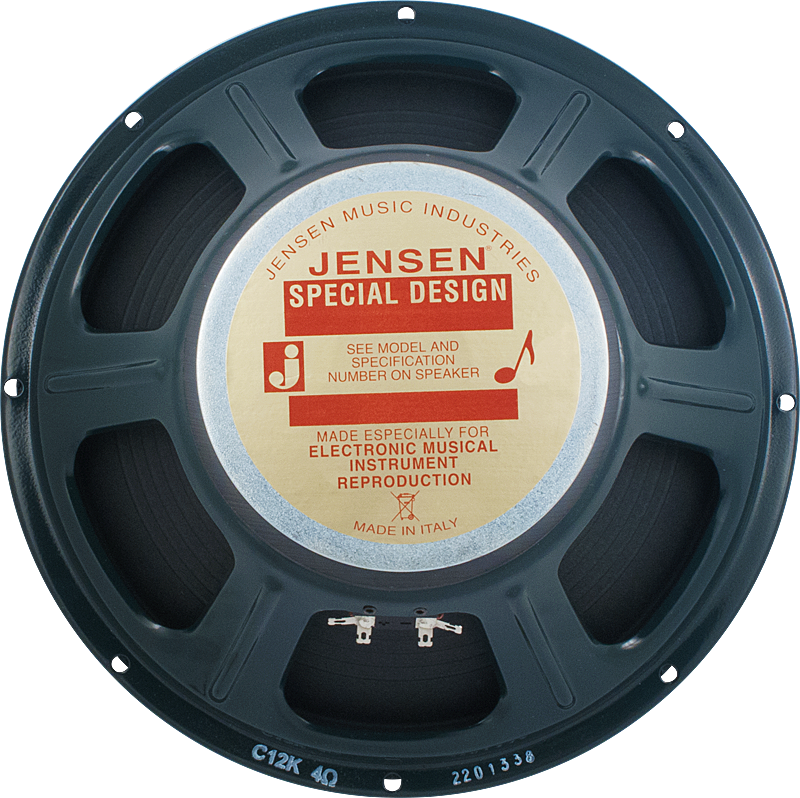 For more information about our Jensen® speakers, see our tech corner article on Jensen Speakers. 4 Ω P-A-C12K-4 Depth 5.2362 in. 4 Ω P-A-C12K-4 Fastener Hole Diameter 0.2559 in. 4 Ω P-A-C12K-4 Inner Diameter 10.9055 in. 4 Ω P-A-C12K-4 Magnet Assembly Depth 1.3779 in. 4 Ω P-A-C12K-4 Magnet Assembly Diameter 6.1023 in. 4 Ω P-A-C12K-4 Mounting Hole PCD 11.5551 in. 4 Ω P-A-C12K-4 Outer Diameter 12.0866 in. 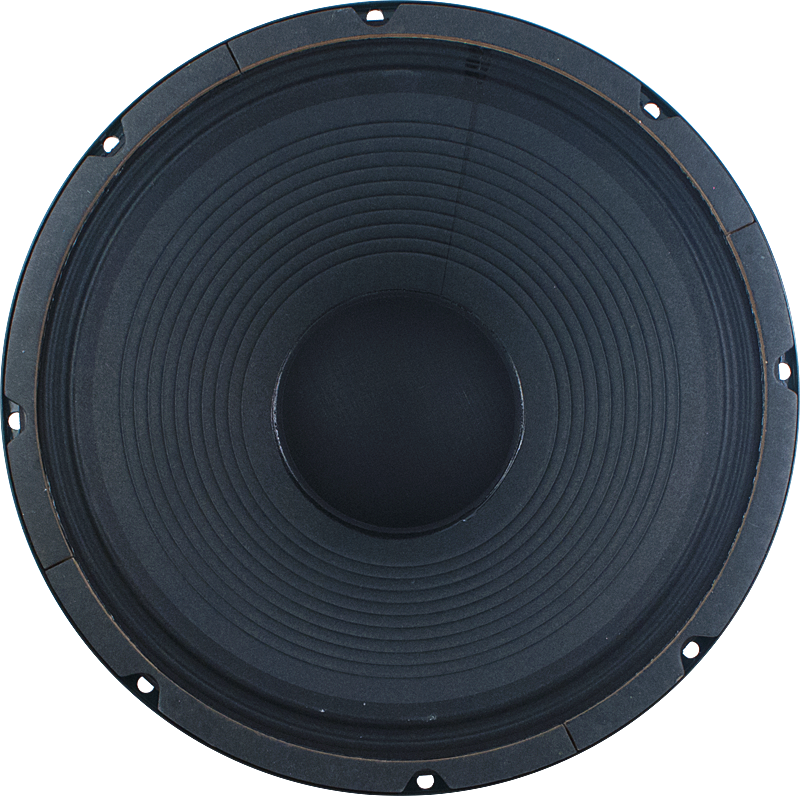 8 Ω P-A-C12K-8 Depth 5.2362 in. 8 Ω P-A-C12K-8 Fastener Hole Diameter 0.2559 in. 8 Ω P-A-C12K-8 Inner Diameter 10.9055 in. 8 Ω P-A-C12K-8 Magnet Assembly Depth 1.3779 in. 8 Ω P-A-C12K-8 Magnet Assembly Diameter 6.1023 in. 8 Ω P-A-C12K-8 Mounting Hole PCD 11.5551 in. 8 Ω P-A-C12K-8 Outer Diameter 12.0866 in. All models Diameter 12 in. All models Magnet Weight 50 oz. All models Voice Coil Diameter 2 in. All models Weight 10.65 lbs. 1 answers Would 4 of these in closed cab pair well with a marshall jvm 410h? This is my favourite speaker. It has such a sweet sound and it's never too boomy. I'd highly recommend it for all styles of music. It's the stock speaker in my deluxe reverb and I had to get another one so I could have that familiar sound in a different cab. Amplified parts shipped it out very fast! 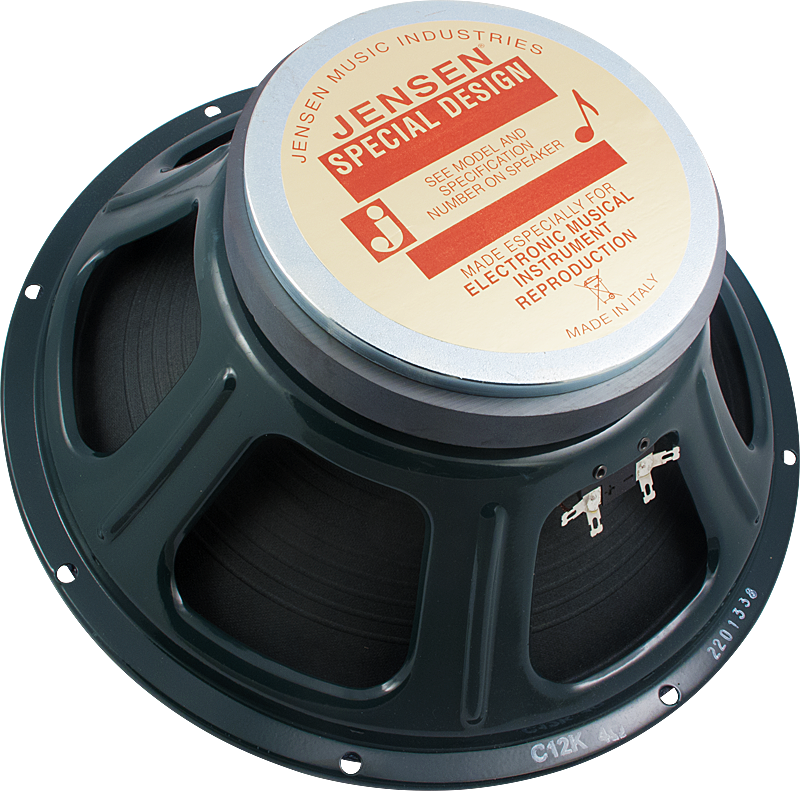 This speaker unbeknownst to me is what Fender now puts into their reissue Deluxe Reverbs. It replaces an aging Oxford in my own DRRI and the sonic improvement after the install was astounding. Deeper lows without flapping, tighter midrange and smoother highs, totally bringing the character of this venerable amp in line with my expectations.